AirAsia X (AirAsia.com) (Kuala Lumpur) reported a second quarter net loss of MYR 128.9 million ($40.6 million), an increase from the MYR 32.3 million net loss ($10.1 million) for the same period a year ago. 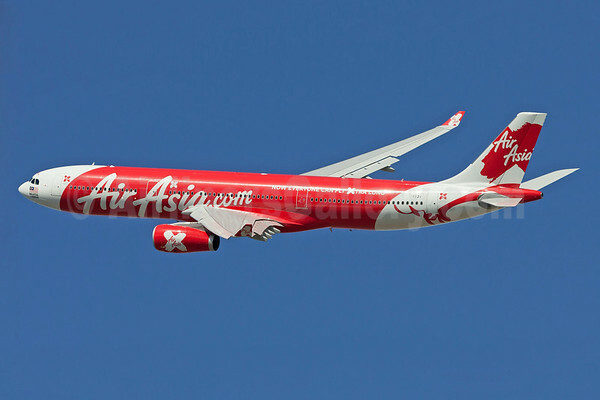 AirAsia X Berhad, the long-haul low-cost airline affiliate of the AirAsia Group reported its financial results for the Second Quarter (“2Q14”) and the First Half-Year ended June 30, 2014. On the back of its strategy of capacity and network expansion to strengthen its market leadership, the Company recorded revenue of RM 671.6 million for 2Q14, a year-on-year growth of 36.7%, and cumulative revenue of RM 1.42 billion in 1H14, a 38.5% y-o-y growth compared to the previous corresponding period. This increase was underpinned by the significant growth in Available-Seat-Kilometre (“ASK”) capacity that was introduced in the second-half of 2013, recording a y-o-y growth of 47% to 6.26 billion in 2Q14 and a y-o-y growth of 53% to 12.48 billion in 1H14. Passenger traffic volume in Revenue-Passenger-Kilometer (“RPK”) grew by 44% in 2Q14 to 5.04 billion and by 53.3% to 10.38 billion in 1H14, resulting in a passenger load factor of 80.4% in 2Q14 and 83.1% in 1H14. Consistently delivering load factor performance above 80% demonstrates the ability to keep stimulating new travel and tourism demand to fill up the new capacity added. This solidifies AAX’s position as the market leader in passengers carried to its core markets in Australia and North Asia, as well as its position as the global market leader in the long-haul LCC space. 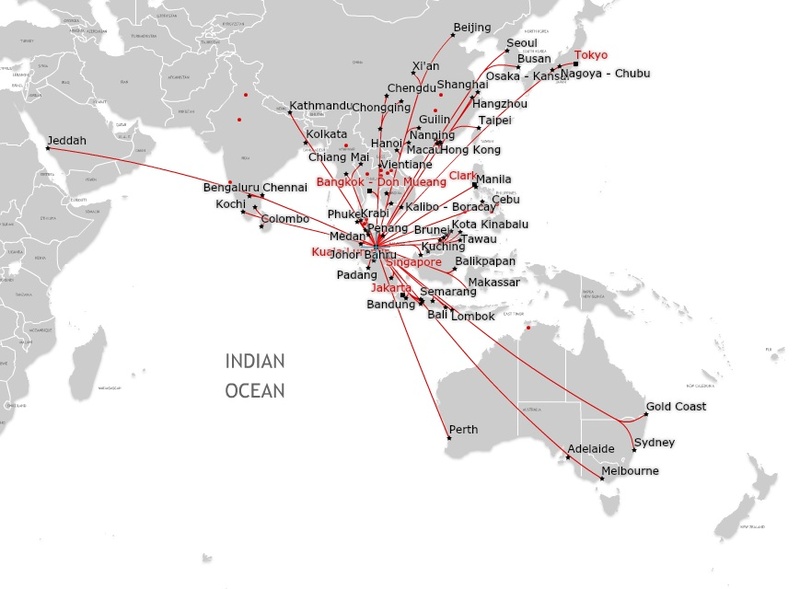 The capacity expansion into new cities in its core markets, such as Nagoya, Xian, and Chongqing, as well as additional frequencies to cities such as Sydney, Melbourne, Taipei, Seoul, and Tokyo have increased its Fly-Thru connectivity and attracted new passenger traffic flow that now uses KLIA2 as a regional aviation hub. Notably, the Company has approximately tripled its market share of passengers travelling between North Asia and Australia on a one-stop service, generating a significant new customer base this year compared to the previous year. The Company continues to operate a higher number of flights for charters and wet-leases, with total revenues from this segment growing from RM33.0 million in 1H13 to RM148.6 million in 1H14. These flights are not captured in the ASK and RPK tabulations as they are unscheduled flights. Ancillary revenue grew by 48.2% y-o-y to RM290.8 million in 1H14, compared to RM196.3 million in the previous period, resulting in an ancillary revenue per passenger of RM138.50 from the 2.1 million passengers carried. Cargo segment contributed RM59.3 million for 1H14, and increase of 43.8% y-o-y from the previous corresponding period. Two A330-300 aircraft were leased to Thai AirAsia X (“TAAX”), its affiliate, generating RM25.3 million in lease income revenue in 1H14. TAAX commenced daily flights to Seoul since June 17, 2014 and will operate flights to Tokyo-Narita and Osaka from its hub in Bangkok from September 2014. The resultant unit-revenue yield, as measured by Revenue-per-Available-Seat-Kilometre (“RASK”) was 10.79 sen in 2Q14, a -7% y-o-y decline, and 11.44 sen in 1H14, a -10% y-o-y decline. The rate of decline in RASK has been steadily improving from -15.1% in 4Q13 and -12.4% in 1Q14. Based on forward sales to-date and barring any unforeseen macro-factors, the Company expects RASK to resume positive growth in the second-half of this year, as the capacity expansion last year matures and the rate of capacity growth progressively slows down. Although the RASK yields have declined this year from 2013, they remain higher than the RASK yields recorded in 2010, 2011, and 2012, signalling overall route network portfolio maturity. The Company continues to target a positive growth in RASK for the full year of 2014 from 2013. Operating expenses increased 61.5% y-o-y from RM986.3 million to RM1,593.1 million in 1H14. Although unit-cost as measured in Cost-per-Available-Seat-Kilometre (“CASK”) increased 4.6% y-o-y to 12.69 sen, CASK-excluding fuel declined -2.6% y-o-y to 6.35 sen. CASK in US cents declined -1.4% to 3.89 cents, due to the effect of the US dollar-Malaysian Ringgit currency movement, as a majority of costs, especially fuel, aircraft and engineering expenses, are denominated in US dollars. CASK excluding fuel in US cents dropped -8.5% to 1.94 cents. Average fuel price increased from US$127/barrel in 2Q13 to US$130/barrel in 2Q14. Controllable items such as staff costs, sales and marketing expenses, fell -13% y-o-y from cost controls and productivity improvements achieved from having larger operating scale. Earnings Before Interest, Tax, Depreciation, Amortisation and Rental (“EBITDAR”) dropped from RM183.5 million to RM53.5 million, while Earnings Before Interest and Tax (“EBIT”) dropped from RM46.0 million to –RM168.5 million. AAX recorded a Loss After Tax (“LAT”) of –RM140.1 million for 1H14 compared to a Profit After Tax of RM17.9 million in the first-half of 2013. The Company continues to maintain positive operating cash flow in 2Q14 of +RM81.2 million, and +RM212.8 million for 1H14. Net Cash Flow was also positive at +RM12.8 million in 2Q14, as there were no capital expenditure incurred from financing aircraft on-balance sheet (the additional aircraft was on operating lease), no material new pre-delivery-payment financing for future aircraft, and no further capital investments in Associates. The Company expects to maintain positive operating cashflow and positive net cash flow for the full year, on the back on an expected stronger performance in the second-half of 2014. “The 50 next-generation A330-900neo aircraft ordered will give us a huge lead over other players in this space, and ensure that we can fully realize our growth potential from the two new hubs that we have invested in, as well as other future hubs once the opportunity materialises”, concluded Azran. Copyright Photo: Guillaume Besnard/AirlinersGallery.com. Airbus A330-343 F-WWYY (msn 1131) became 9M-XXG on delivery. This entry was posted in AirAsia X (Malaysia) and tagged 1131, 9M-XXG, A330, A330-300, A330-343, AirAsia, AirAsia X (Malaysia), Airbus, Airbus A330, Airbus A330-300, F-WWYY, TLS, Toulouse on August 21, 2014 by Bruce Drum. AirAsia X (AirAsia.com) Airbus A330-343X F-WWYY (9M-XXG) (msn 1131) TLS (Guillaume Besnard) (latest delivery), originally uploaded by Airliners Gallery. AirAsia X (AirAsia.com) (Kuala Lumpur) is going to launch low-fare Kuala Lumpur-Tokyo (Haneda) flights in December. The company is planning to add two additional cities. Copyright Photo: Guillaume Besnard. A dramatic picture of AirAsia X’s brand new Airbus A330-343X F-WWYY (msn 1131). it will become 9M-XXG on delivery. This entry was posted in AirAsia X (Malaysia) and tagged 1131, 9M-XXG, A330, A330-300, A330-343X, AirAsia X (Malaysia), AirAsia.com, Airbus, Airbus A330, Airbus A330-300, F-WWYY, Guillaume Besnard, TLS, Toulouse on September 28, 2010 by Bruce Drum.